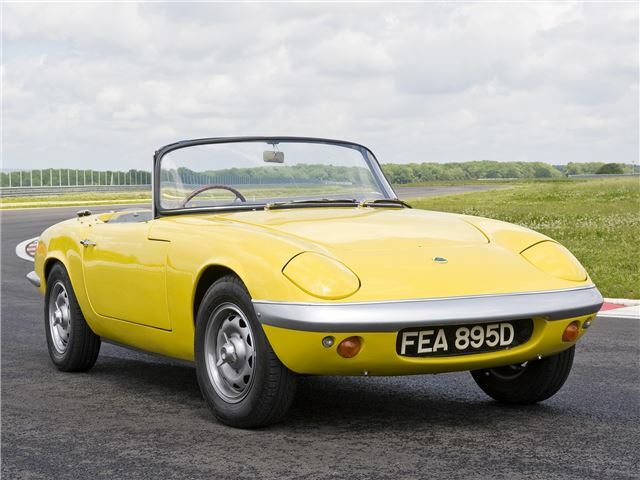 The classic Lotus Elan is widely regarded as one of the best sports cars from the 1960s. Released in 1962 at the London Motor Show, the Lotus Elan was said to be a 'Formula car designed for ordinary street use' (Car and Driver, 1962). Once again, the Lotus design team had an objective of developing a fast and lightweight car with exceptional handling. And they succeeded. The road-holding of the 680kg Lotus Elan is exemplary, as is the steering. To keep the weight as low as possible, the Elan had a steel backbone chassis with a fibreglass body; the first Lotus to feature this design. The 1,558 cc Lotus TwinCam engine produced a brake horse power of 90 in the standard model and 126 in the later released Sprint. In tests, the 1964 Elan 1600 was shown to accelerate from 0-60 mph in 8.6 seconds. 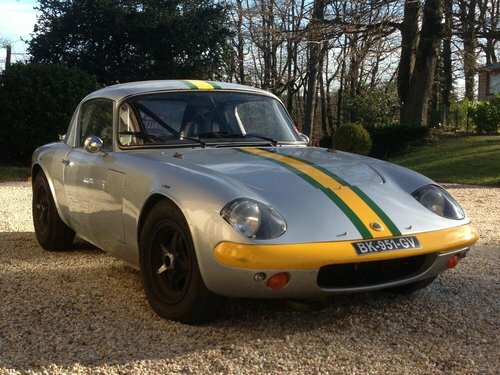 This was eclipsed by the Elan SE in 1967 which shaved a further 0.9 seconds off the time. 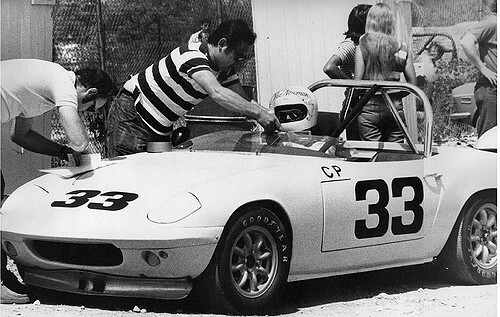 In 2004, Sports Car International named the Elan number six on the list of Top Sports Cars of the 1960s. The Lotus Elan became an immediate favourite of many motoring enthusiasts including celebrities such as Peter Sellers, Paul Newman, Jay Leno and Michael Crawford. In the television series The Avengers, Emma Peel (played by Diana Rigg) drove several cars, but is usually associated with the Lotus Elan. On a more sombre note, the reference to a car accident in the Beatles song A Day in the Life was based on Tara Browne's fatal accident in his Lotus Elan. As with the earlier Lotus Esprite, the Elan featured British designed and manufactured SMITHS gauges in the dashboard. 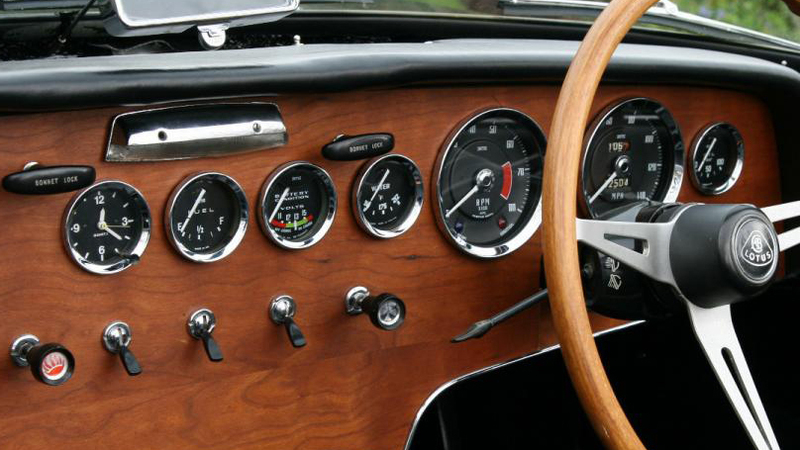 There were a range of dashboard configurations and, during the lifespan of the classic Elan, SMITHS would supply the Speedometer, Tachometer, Clock, Fuel Gauge, Water Temperature Gauge, and Oil Pressure Gauge. Caerbont Automotive Instruments still manufacture and supply SMITHS gauges for Lotus classic cars based on the original designs and using the same tooling. Please follow us on Twitter, Facebook and LinkedIn to keep up to date with all our news, case histories and product updates.